I thought it was WW genuinely updating the plan and site online. There was an entire database worth of points that needed changing. I tried to log on several times to WW Online after midnight on the day of the big reveal but the site was down for maintenance. I am peeved! How am I supposed to do this without my tools? Seriously, this is most unprofessional. They should have had this ready to go at the blitz day. Are they going to refund our money for the days we are paying for and getting nothing? 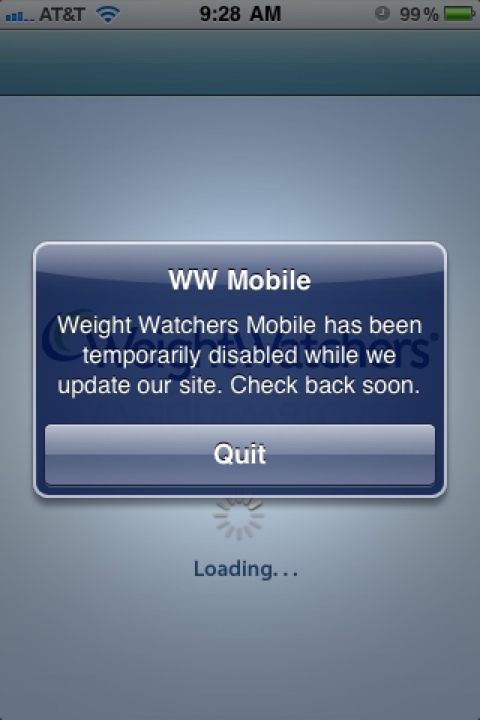 Since I’m not a member of the WW site (too expensive for me, I go to a meeting now and then with my mother, but that is it) I found an app called Weight Watcher’s Diary that works just as well for me. 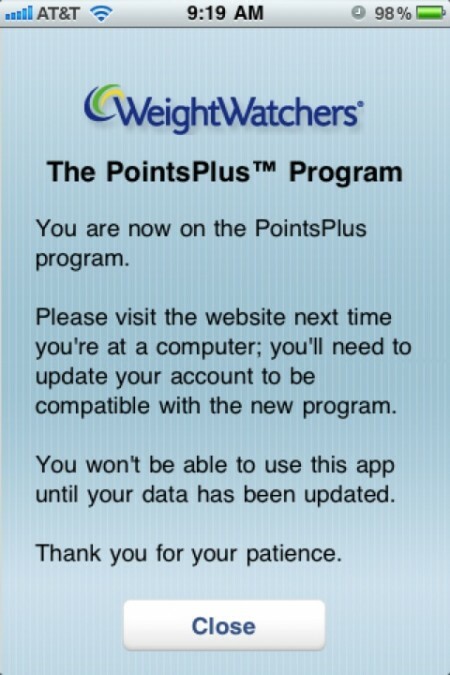 It tracks my daily points, my weight, my weekly points (if I use them) and I can input activity points. Plus, it saves my favourite food, and keeps a log of the other things I input, so I can go ‘oh yeah, that sausage was 8 points, not 5. Durr’. Its free, though I’ve been meaning to donate via paypal since I love this app so much.